MORONI: An Airbus A310-300 from Yemen with 153 people on board crashed into choppy seas as it tried to land in bad weather on the Indian Ocean archipelago of Comoros on Tuesday, officials said. An official from the state carrier Yemenia said some bodies had been recovered from the wreck. The official could not say whether there were any survivors. Two French military planes and a French ship left the Indian Ocean islands of Mayotte and Reunion to search for the Yemenia aircraft that was carrying nationals from France and Comoros. "The planes have seen debris at the supposed point of impact," Ibrahim Kassim, an official from regional air security body ASECNA, told Reuters. A Yemenia official said there were 142 passengers, including three infants, and 11 crew. The plane was flying from Sanaa to Moroni, the capital of the main island of the archipelago. "We still do not have information about the reason behind the crash or survivors," Mohammad al-Sumairi, deputy general manager for Yemenia operations told Reuters. "The weather conditions were rough; strong wind and high seas. The wind speed recorded on land at the airport was 61 km (38 miles) an hour. There could be other factors," he said. It is the second Airbus to plunge into the sea this month. An Air France Airbus A330-200 crashed into the Atlantic Ocean killing 228 people on board on June 1. In 1996, a hijacked Ethiopian Airlines Boeing 767 also crashed into the sea off the Comoros islands in 1996, killing 125 of 175 passengers and crew. "Two French military aircraft have left from the islands of Mayotte and Reunion to search the identified zone, and a French vessel has left Mayotte," said Hadji Madi Ali, director General of Moroni International Airport. France and the Comoros have enjoyed close ties since the islands' independence in 1975. The French Foreign Ministry estimates 200,000 people from Comoros live in mainland France. Remittances from France are an important part of the islands' economy. "We think the crash is somewhere along its landing approach," said Kassim from ASECNA. "The weather is really not very favourable. The sea is very rough." ASECNA -- the Agency for Aviation Security and Navigation in Africa and Madagascar -- covers Francophone Africa. Interior Minister Hamid Bourhane told Reuters the army had sent small speedboats to an area between the village of Ntsaoueni and the airport. A medical worker from the town of Mitsamiouli on the main island Grande Comore said he had been called in. "They have just called me to come to the hospital. They said a plane had crashed," he told Reuters. A United Nations official at the airport, who declined to be named, said the control tower had received notification the plane was coming into land, and then lost contact with it. Yemenia is 51 percent owned by the Yemeni government and 49 percent owned by the Saudi Arabian government. 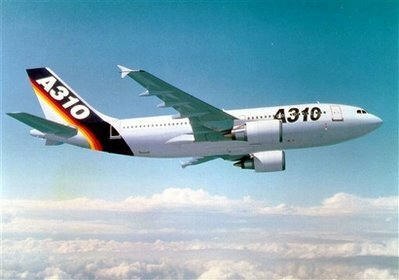 Its fleet includes two Airbus 330-200s, four Airbus 310-300s and four Boeing 737-800s, according to the company website. 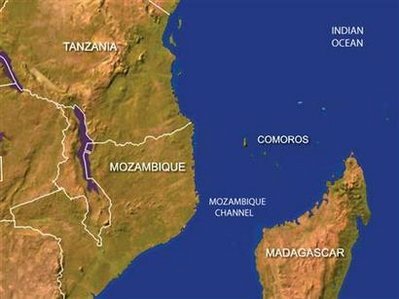 The Comoros covers three small volcanic islands, Grande Comore, Anjouan and Moheli, in the Mozambique channel, 300 km (190 miles) northwest of Madagascar and a similar distance east of the African mainland.